Three-quarters the size of the United States, much of the Amazon is fed by waters originating in the Andes mountains. The second-highest mountain range in the world, it runs the length of South America. 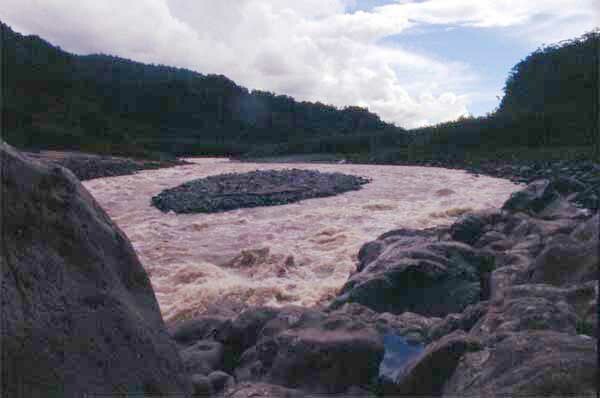 Snow melting and condensing clouds feed innumerable rivers such as the Rio Reventador in Ecuador. These cut through the rock, forming deep and intricate gorges along which are habitat for unique species of plants and animals. 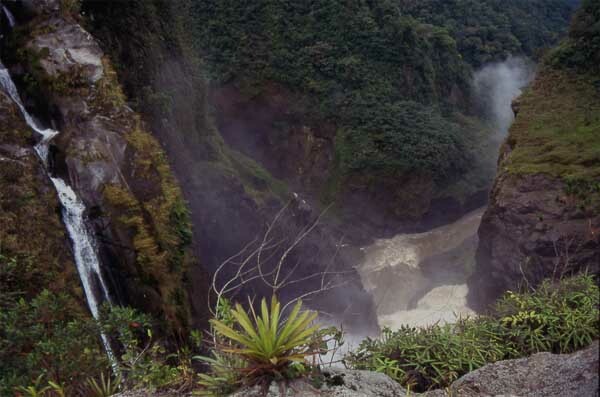 This magnificent gorge runs downstream of the Rio Reventador waterfall. Although an oil pipeline runs close-by, the area remains largely pristine and biologically unexplored. 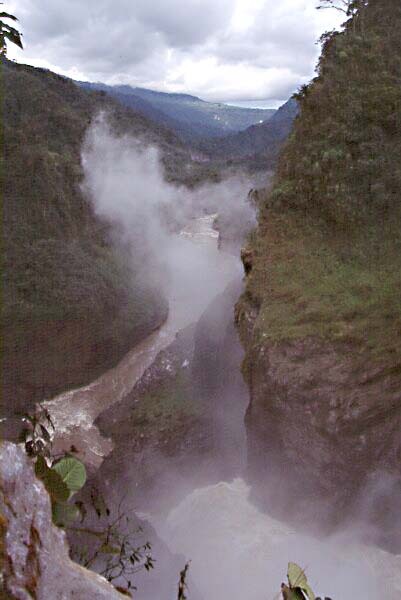 Here is a scene looking eastwards downstream beyond the Rio Reventador waterfall. This view is slightly to the left of the above picture. On the rocks grow a species of lithophytic orchid, Epidendrum calanthum. Upstream of Rio Reventador Falls the river is a wild, cavorting torrent. In places, rounded pebbles of a wide variety of minerals are washed ashore or form mid-river islands such as the one shown. Small quantities of gold are present in the sand.